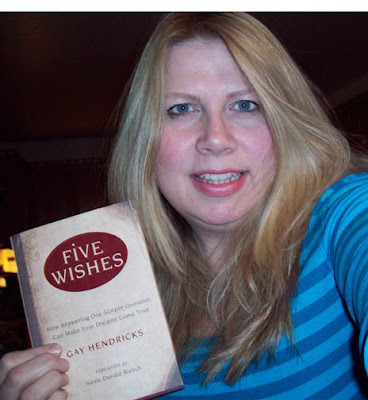 I spotted this book, Five Wishes by Gay Hendricks on another blogger’s site, and I promptly ordered it from Amazon.com and took advantage of their free shipping offer. I also ordered The Power of Body Language by Tonya Reiman. You can see her weekly segment on O’Reilly (Fox NEWS). Bill gives her video clips of current interviews by politicians, crime suspects and celebrities in the hopes of reading into their body language to see if they are telling the truth or not. This whole concept of body language has me very interested. After I read up, I will have the knowledge equivalent of X-ray vision to see if people who are talking to me are lying or if men are flirting….this should be fun! I’ll keep you posted on what I get from both books. But for now, it’s back to the sofa to get lost in my books. What are you reading? Previous postBack from my roadtrip with the Gals!